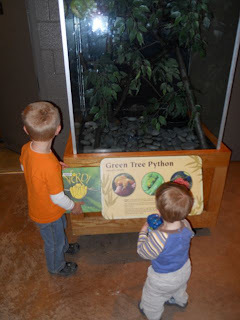 One of my son's favorite places is the Akron Zoo (Ohio) -- or as he calls it "The Small Zoo." His description is by no means an insult. It is just the right size for a child his age with many exhibits that allow him to see the animals without having to be picked up. We have been members of this zoo for many years and I had the pleasure of working there for two summers. When I saw that it was Janell Cannon's birthday I immediately thought a trip to this zoo would be the perfect birthday celebration. Janell Cannon said, "I tend to root for the underdog, and so when an animal is generally misunderstood and unpopular with humans, I question how this bad rep has developed." (Harcourt). Her debut book was Stellaluna, a story about a fruit bat that develops a friendship with three birds by learning about their differences. She has also written stories about a python, a cockroach, and a hyena. 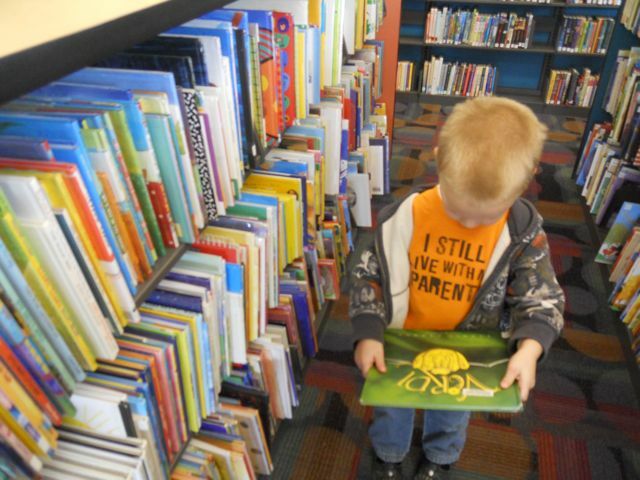 Cannon developed the talent of presenting unappreciated animals to children when she developed summer reading programs at the Carlsbad Library in California where she worked as a graphic artist. I had difficulty locating our copy of the book, Verdi, but we found a copy at a library about ten minutes from the zoo. 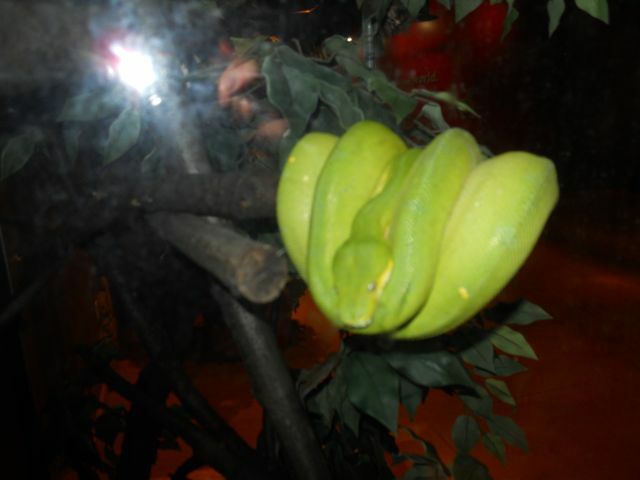 It is a story about a Green Tree Python (GTP) that is feeling uneasy about losing his juvenile yellow skin for green. In the book, Umbles, an older GTP, complains of a belly ache after eating a lizard. We found out that this GTP eats mice at the zoo. 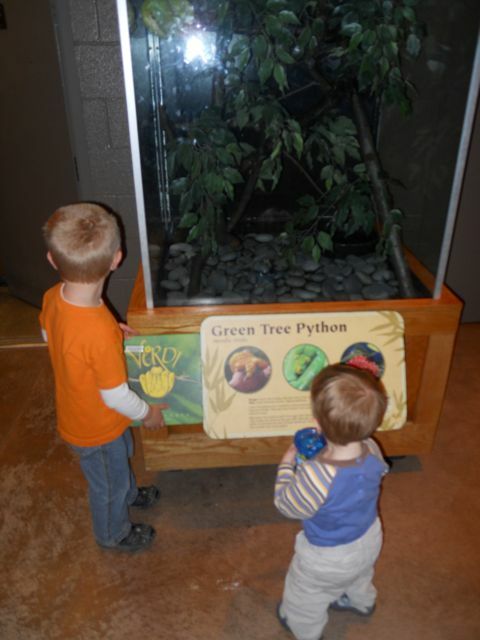 My son was excited to see that the zoo informational placard showed a yellow juvenile snake, but it also said that some GTPs are born with a reddish tint to their skin. 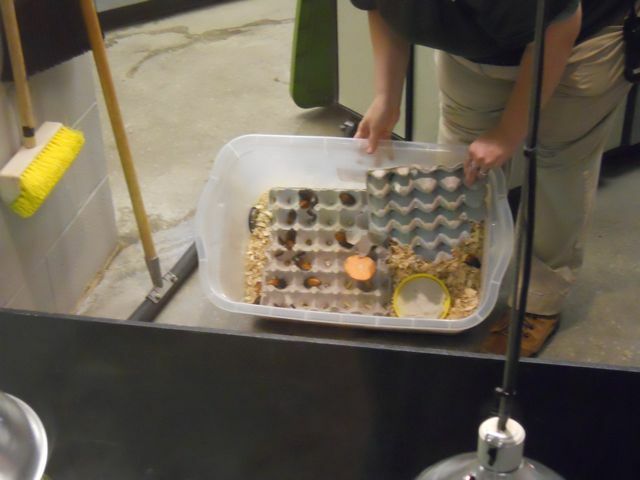 We learned Verdi's change in skin color is vitally important to the survival of a GTP in their environment. I was so excited to see friends that I used to work with at the zoo and they loved seeing the books that we brought with us. We were invited downstairs to the educational wing of zoo to meet some cockroaches to bring Cannon's Crickwing book to life. Crickwing is a cockroach that injured one of his wings when he had an encounter with a hungry toad. His embarrassment for his crooked wing led him to be solitary. All the while, he developed a talent of making sculptures out of his food and for bothering leaf-cutting ants. One day, the leaf-cutting ants have a chance for revenge but do not have the heart to hand him over as a peace offering to a band of army ants. Crickwing decides to repay the leaf-cutters with an idea for protection from their enemy. We were introduced to Madagascar Hissing Cockroaches. The small dots on their back produce the hissing sounds. The hissing is a defense mechanism used to alarm predators. This worked to keep my son away. He turned down the offer to touch the back of the creepy crawler! It must be noted that the cockroach in Crickwing is not a hissing cockroach. 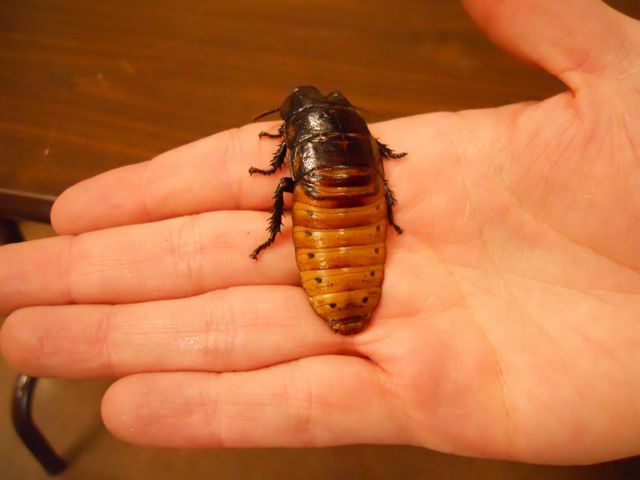 According to the author's notes, "The world holds nearly 4,000 species of cockroaches, and new ones are continually being discovered." 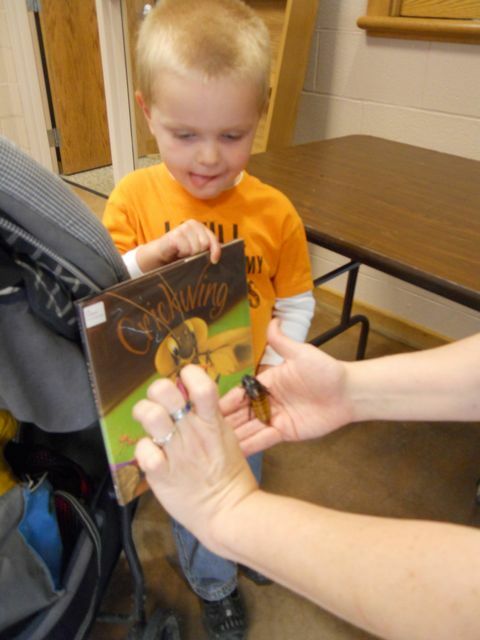 We also got to see the cockroaches go back into their home with the rest of their family. We learned that these cockroaches like to eats yams and over-ripened apples. Maybe these guys like to play with their food just like Crickwing! We had one more stop to make at the Bat House before our time at the zoo was over. We read Stellaluna while enjoying some of our Halloween candy before we entered the exhibit! The bat house had two types of bats -- Rodrigues Fruit Bats and Jamaican Fruit Bats. The bat house prevented me from getting photographs, but I was able to capture a video. My youngest son, yells, "Bat!" when he sees the Rodrigues Fruit Bat spread its wings. You can read more about Rodrigues Fruit Bats on the Akron Zoo website. 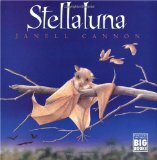 Janell Cannon stated in an interview with Harcourt that she based Stellaluna on the Gambian Epauletted Fruit Bat. Thank you to all my friends at the Akron Zoo that made this such an enjoyable learning experience for my family! I love how excited the little one got when he realized he was seeing a bat!